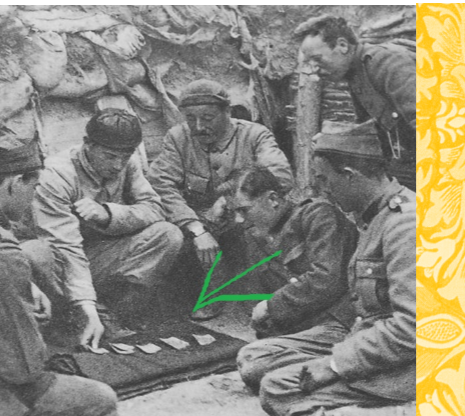 Our founder, Dr. Phineas T. Zero, famed vanitatiologist and inventor of meaningless things, discovered the roots of the card game known as Roil, or the Roil Celari Tarot, in various archeological and historical texts. 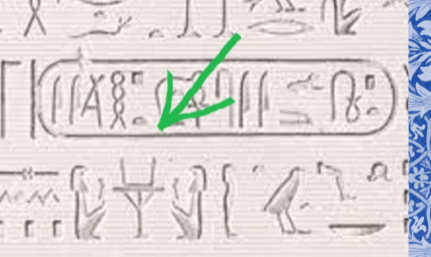 As early as the second century B.C., the Ptolemaic pharaohs are seen playing the game in hieroglyphs found in to Tutankhamun’s tomb in 1922 (Figure 1). During the height of the occult vogue of the early 20th century, several references of the Celari Tarot and its use in séances were recorded as well. (Figure 3). The Dr. Zero, or Celari, tarot is a replica of this tarot and replaces the standard 78 card tarot deck with a 72 card deck and its accompanying alternate major arcana and modifying death or change cards (identified as Fate in the Dr. Zero deck). The traditional method of play, brought through ancient history to the current era remains largely unchanged. (Though it should be noted that the scoring was adjusted for a modern audience). Or…we may have made all of this up. FIGURE 1. Egyptian hieroglyphics depicting two seated persons playing card game, presumably Roil. FIGURE 2. 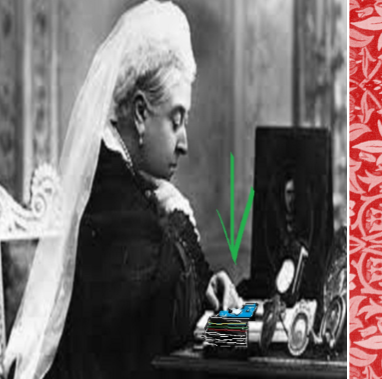 Queen Victoria apparently playing solitaire using an antique form of the Celari Roil Deck. FIGURE 4. A group of soldiers out side Ardennes, 1917.